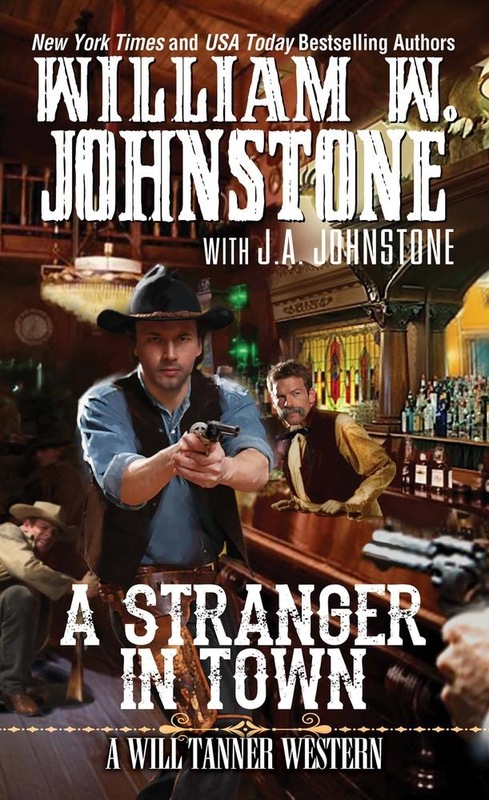 THE GREATEST WESTERN WRITERS OF THE 21ST CENTURY America’s greatest western storytellers begin the explosive new legend of Will Tanner, a U.S. deputy marshal who will risk everything to save a friend, and bring two desperados to justice . . . The train grinds to a halt somewhere in the Indian Nations, and the bandits get onboard. They take everything on the train worth stealing and gun down a guard to make their escape—just another notch on the belt for Ben Trout and Zack Larsen, two of the most savage killers in the west. U.S. Deputy Marshal Ed Pine follows them to Muskogee. There the trail runs cold, and Ed Pine diappears. To save his friend, Deputy Will Tanner rides for Muskogee, where justice extends only as far as the range of a Colt .45. Tanner earned his badge in a blistering gunfight, when he got the drop on a trio of killers and saved the life of another fellow marshal. Now, he’ll have to be just as quick—and just as deadly. To bring in Trout and Larsen, Tanner must set his badge aside, and resort to the law of the gun. 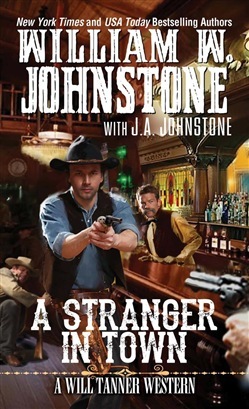 Acquista A Stranger in Town in Epub: dopo aver letto l’ebook A Stranger in Town di J.A. Johnstone, William W. Johnstone ti invitiamo a lasciarci una Recensione qui sotto: sarà utile agli utenti che non abbiano ancora letto questo libro e che vogliano avere delle opinioni altrui. L’opinione su di un libro è molto soggettiva e per questo leggere eventuali recensioni negative non ci dovrà frenare dall’acquisto, anzi dovrà spingerci ad acquistare il libro in fretta per poter dire la nostra ed eventualmente smentire quanto commentato da altri, contribuendo ad arricchire più possibile i commenti e dare sempre più spunti di confronto al pubblico online.